Thank you (all Readers) for your support and interest! April 2019: WELCOME to Learn Freelancing Proofreading & Copy-Editing and The Pocket Book of Proofreading. New: style guides pop up in the most unusual places - in this case all about punctuation from the Office of National Statistics. There are also good pages on spelling, use of language, numbers, etc. Published by First English Books (262pp). The place to learn about freelance proofreading and copy-editing from home. It's never too late to start! If you would like to leave a review (positive ones preferred! ), you can do so here. The Kindle version of The Pocket Book of Proofreading works fine too. It has been optimised to give you the best reading (and learning) experience on Kindle. c) using the 'yellow note' facility if you are sent a PDF copy. This is very easy to learn. Note: More detailed descriptions of b) and c) above are given in the Learn Freelancing Course (Download Version), which is a natural 'follow-on' from the proofreading book, if needed. An old favourite but still good reading, at any time of year! What can you expect to get paid for proofreading and copy-editing? The Society for Editors and proofreaders (SFEP) has a page just for this. See here. 'Just a few lines to let you know that I’m thoroughly enjoying the above course - its a gem! Anyway, I just wanted to thank you for a great book and course. 'It's good to get paid for checking other people's work but more rewarding when a publisher sends you a payment for doing it'. Work from home full or part time as a freelance proofreader and/or copy-editor. Beginners welcome at any level - with reasonable spelling! Current hourly rates for proofreaders are around £22-£25 per hour. 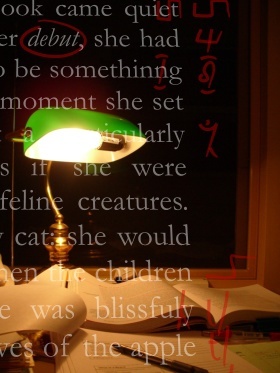 Want to learn about freelance proofreading and copy-editing? Try Learn Freelancing and The Pocket Book of Proofreading (262pp.) Simply 1) Buy the book from Amazon.co.uk/com, 2) make sure you read the book in full and complete the exercises (works well with the New Oxford Dictionary for Writers and Editors), 3) You can try the Learn Freelancing course later, if wished (a download version is available). "I have been "doing a bit" of proofreading and copy-editing over the years. I have paid over two hundred pounds for a correspondence course and bought several hallowed tomes on the subject... There is a wealth of knowledge from someone who really has been there and done that! I highly recommend this fantastic resource and I shall refer to mine often." Learn all the real secrets of successful freelancing for publishers. Work from home, full or part time. NEWS: over 5 million people in Britain now work from home (2018) with more expected next year. Entrepreneurs, people running their own businesses -- and some editors, freelance proofreaders, and copy-editors! Britain leads the world in book publishing (The Times). 'The UK publishes more books per person than any other country in the world...Last year British publishers brought out 184,000 new titles and revised editions.' Plenty of work for freelances. Good news re work just received! 'I just wanted to drop you a line to say thank you for your excellent proofreading course. I have been offered work with a publisher that specialises in my favourite field...' Kate T.
Any questions? Please contact the editor. Simply send your email to editor@LearnFreelancing.com. Here is a useful link re British and American (US) spellings: British (Queen's) versus American English Spelling. It's called Nature Edit. Have a look. A perfect name for someone specialising in natural history. Well done to Liz. Liz is a very talented zoologist who is also an experienced and talented freelance writer, editor, copy-editor and proofreader. If you like the idea of working from home as a freelance proofreader, Learn Freelancing can show you how - beginning with The Pocket Book of Proofreading. William Critchley originated his editorial/proofreading course many years ago, making it the first course of its kind. His editing experience spans more than two decades. Since then, the course has been continually updated and revised - to the point of perfection! You can see for yourself if you read a copy of The Pocket Book of Proofreading. All the essential information is here. Beginners are welcome too. Working in publishing is stimulating and rewarding but you need to acquire the right skills. Freelancing can offer you the opportunity, after training, to be sent proofs (typescripts of books) either by post, direct from the publishing house to your home address or online through the Internet. This skill can pay you around £22-25 an hour, and £28 plus for copy-editing. Rates do vary between publishers and when starting out you may be fortunate to get £17 or £18 per hour. If you find two or three publishers to send you work you’ll be kept busy all the time, and enjoy the freedom of earning extra income from home. Competition can make it tough to get started, however, but Learn Freelancing gives you the best possible start. The Pocket Book of Proofreading contains 262 pages filled with tips and essential information - knowledge at your fingertips. The book cover is glossy laminated so it will last longer as your reference book. Learn Freelancing is also the only course provider offering an instant PDF download of a proven course with all the proofreading marks in the correct colours, making the course exceptional value for money. There's no need to spend hundreds of pounds on the old, 'laggard' courses to learn this skill. Distance learning has never been better - with Learn Freelancing! To order your course (the Download Version) with the discount, when you have finished reading the book and completed the exercises in it, please click here. NB: You have to read the book first to learn 'the nuts and bolts', so to speak, so start with this first, and decide on taking the course later. 'A completely realistic guide to proofreading and copy-editing. Ideal for beginners or seasoned pros. Sits on my desk next to Hart's Rules and gets just as much attention - the content is relevant, true to life and entertainingly written. Re Kindles: Nice quote: 'Every morning and evening of my commuting life, I lug to and from work three dictionaries, two encyclopaedias, the complete works of Shakespeare, Dickens, Trollope, Austen, Tolstoy and Eliot (George, not T.S.) and a growing library of modern bestsellers. Of course, as recently as a decade ago, any such admission would have raised serious concerns about my sanity, not to mention questions about back strain. But as readers will have guessed, I carry these dozens of volumes around with me not in paper and ink, but in miracle form. Thanks to the miracle of the Kindle...the whole lot fit neatly into my raincoat pocket, weighing in at grand total of 7.5. oz - or slightly less than a typical paperback. 1. The Secret Barrister by 'The Secret Barrister' (Macmillan, 1918). A bestseller explaining what's wrong with the law and how ineffective it can be in many cases. A really good read. 2. Factfulness: Why Things Are Better Than You Think by Hans Rosling (Sceptre, 2019). Previously gave many TED talks. All about the world we currently live in. Another top read. 3. The Wind in My Hair: My Fight for Freedom in Modern Iran by Masih Alinejad (Virago, 2018). The author makes a strong case for personal freedom in the face of religious bigotry and intolerance. A Radio 4 Book of the Week. 5. Enlightenment Now: The Case for Reason, Science, Humanism, and Progress by Steven Pinker ('My faourite book of all time' - Bill Gates) (Allen Lane, 2018). The world is changing for the better. 6. Another Carlo Rovelli book. The Order of Time (Allen Lane, London, 2018). The physicist who is also a poet. ‘The physicist transforming how we see the universe’ - Financial Times. I didn't manage to understand the physics in some places but this book is a really wonderful read. Take a little time to watch this video about 79 common mispronunciations. Amusing and quite good. 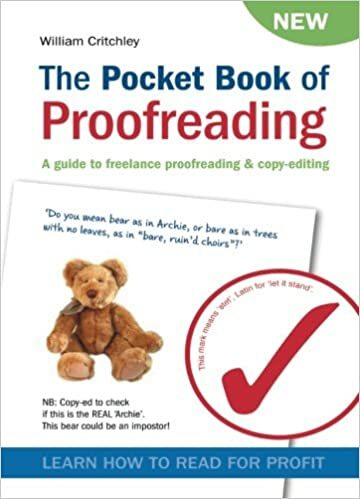 Note: You can order your copy of The Pocket Book of Proofreading with free p&p in the UK. Here's the link. Wishing you every success and Good Reading! A new clinic specialising in Botox, fillers, various enhancements, etc. If visiting London and in need of repair, or dear mother-in-law! Run entirely by young highly qualified doctors. Actually, if you look closely, you will see a connection (runs in the family). Easy to learn but still absolutely necessary if you want to master the subject of proofreading. Find out more, and see what they look like. Check out these sample pages from The Pocket Book of Proofreading, the course and the extra exercises. The proofs of the story about the Greek island. Where is it? Why is it so famous? A few answers for you on this page, including a view over the bay (caldera) plus a wonderful fresco of two boxing boys. You’ll be glad you did. For a quick overview read more here, find out how many pages you should read per hour, and how much would you get paid for proofreading 330+ pages? These are essential – just two to read about here. The New Oxford Dictionary for Writers & Editors, and The Writers’ & Artists’ Yearbook. The other essential book? You need The Pocket Book of Proofreading! These are included in the course download – two extracts from a new novel for you to practise on. Try these two first before starting on the main set of proofs, where you need to find at least 250 errors!